Rail Users’ Network (RUN), a group “representing rail passengers’ interests in North America”, will hold its 2015 national conference on Friday, March 27th, in Los Angeles. Billed as a “Making the Transition from Roads to Rail Conference” … “in what was once considered the car capital of the world”, the meeting will be held from 8:00am to 5:00pm at the Southern California Association of Government (SCAG) Offices, 818 West 7th Street, 12th Floor. • Denny Zane, Executive Director of MoveLa — will describe his organization’s efforts “to build a powerful business-labor-environmental coalition” that worked to put Measure R (a half-cent transportation sales tax) on the ballot in 2008 and helped to win voter support. The conference will include several panel discussions. • “Big Rail, Little Rail” (morning session) — “will highlight rail expansion and the emerging regional and inter-regional rail network.” Moderators: Dana Gabbard, RUN Board Member and Executive Secretary, Southern California Transit Advocates. Panelists include Eliza Echevarria, Community Relations Manager, Riverside County Transportation Commission; Raffi Hamparian, Director, Federal Affairs, Los Angeles County Metropolitan Transportation Authority ; Michelle Boehm from the California High Speed Rail Authority; and Jessica Wethington McLean, Executive Director of Bringing Back Broadway. • How Transit Oriented Development has impacted the local economy (afternoon). Moderator: RUN chair Richard Rudolph, Ph.D. Panelists include Diego Cardoso, Executive Officer, Countywide Planning and Development, LA Metro; Roger Moliere, former Executive Officer for Real Property at LA Metro now currently serving as Senior Adviser at Manatt, Phelps & Phillips, LLP; Dan Rosenfeld, a private real estate investor who alternates between private and public-sector service, and Huasha Liu, Director, Land Use and Environmental Planning, SCAG. • “Best Practices for More Effective Advocacy” (third panel). Moderator: Andrew Albert, RUN’s vice chair and chair of the NYC Transit Riders Council. Panelists include Lynda Bybee, former Deputy Executive Officer, Community Outreach, LA Metro, past President of the Women’s Transportation Seminar; Jaime de la Vega, former Deputy Mayor for Transportation under Mayor Villaraigosa, former General Manager, Los Angeles Dept. of Transportation and former Board Member, Metrolink, and Darrell Clarke, who helped get the Expo Line started, and extended as far as Santa Monica. • “Multi-State Effort to Save the Southwest Chief: A Case Study in Advocacy” (final panel). Moderator: David Peter Alan, Esq., RUN board member and president of the Lackawanna Coalition. Panelists include Jim Souby, President, Colorado Rail Passenger Association, and J.W. Madison, President, Rails Inc., and RUN board member. 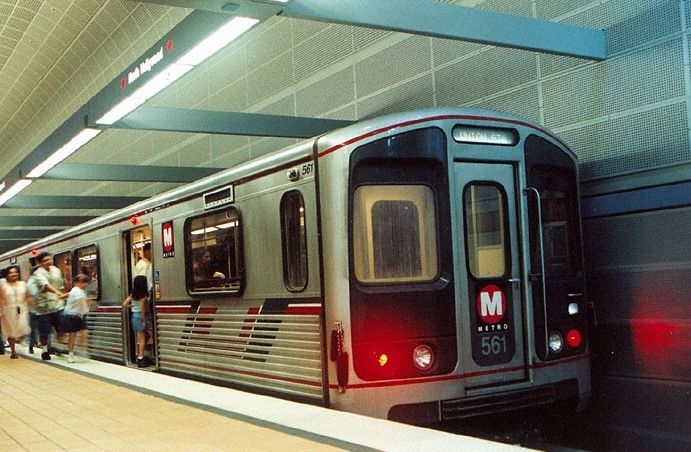 Conference participants will also have an opportunity to take an optional inspection tour of LA-area public transportation on Saturday, March 28th. This will include a “behind-the-scenes” tour of Union Station and Metro’s Rail operations center, as well as riding subway, “commuter”, and light rail transit lines in Southern California.